Into the home stretch re the FOB NZGT - it is on this weekend - and another table for the event is finished. This one is an Imperial City in the final stages of destruction. The buildings are all the original Cityfight buildings on a Gamemat.eu battlemat. Unfortunately I'm now running out of time to produce more tables. Ideally, I'd like to have three of four more done but there is insufficient time. In the end I will have 10 high quality tables with promises for the balance. 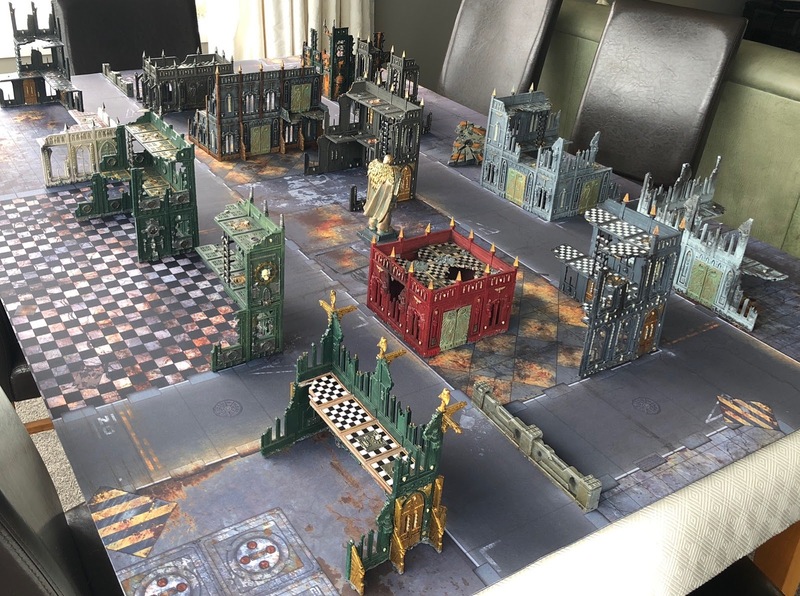 I'm pretty sure that it will be the best looking 40k event that's been held in New Zealand and will make sure that I have the camera on hand to capture the action. That's an awesome looking table! Particularly like the different colours. Adds some nice character. Most of my city terrain are these old city fight buildings and I tend to find they are a tad see through. While I intend to go back and 'board up' most of the ground floor windows, in the mean time we play that all intact ground floor windows are LOS blocking. 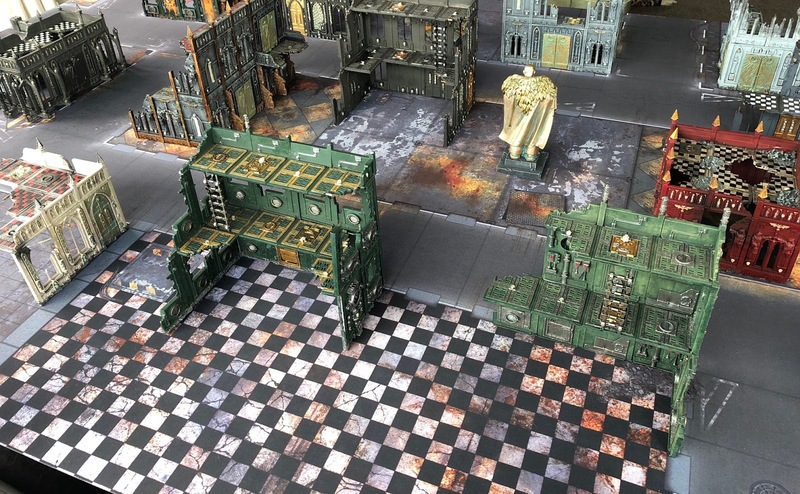 This means vehicles actually have somewhere to hide - except the Necrons; the tops of their arches can be seen through the second floor! 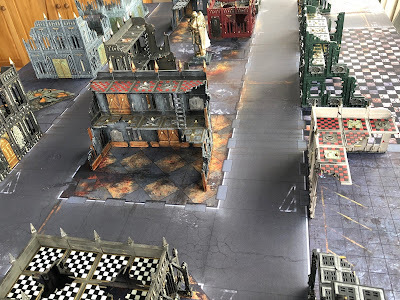 The repeat use of checkerboard to tie in the mat with the terrain is what does it for me. Looking forward to seeing it in person. 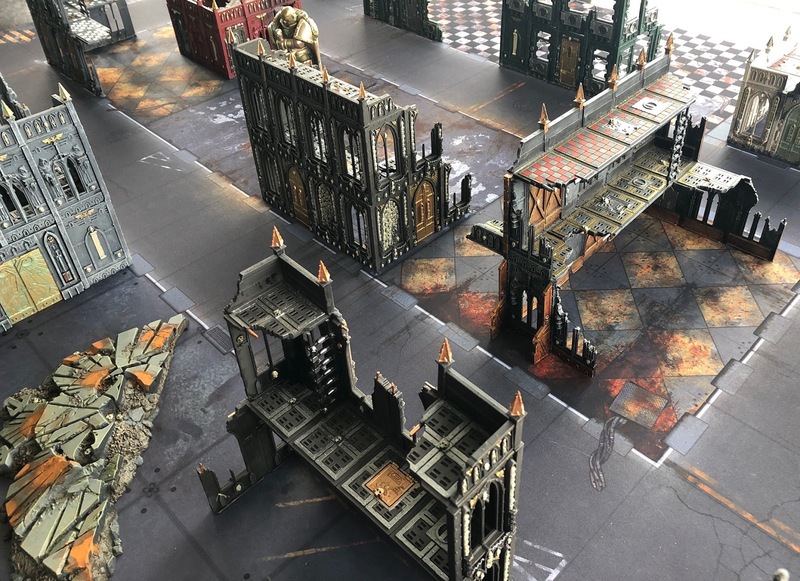 Are you trying to win your own terrain competition, Pete?